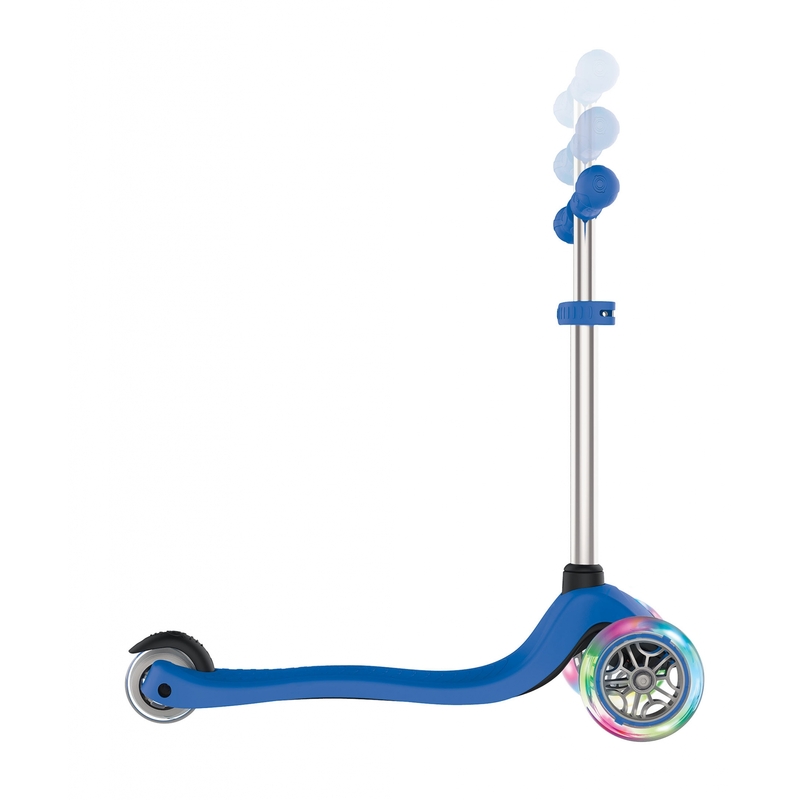 Globber PRIMO LIGHTS 3-wheel light-up scooter for kids - scooter with light-up wheels, height adjustable scooter, patented steering lock button for easy learning. 3-height adjustable scooter for kids aged 3+. Light-up scooter with battery-free LED wheels flash in red, green & blue. 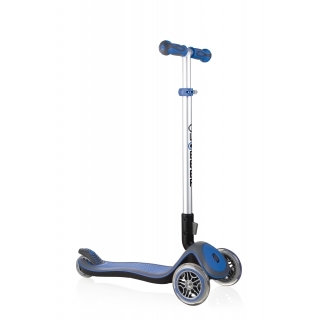 3-wheel scooter with a long covered rear brake supports up to 50kg. 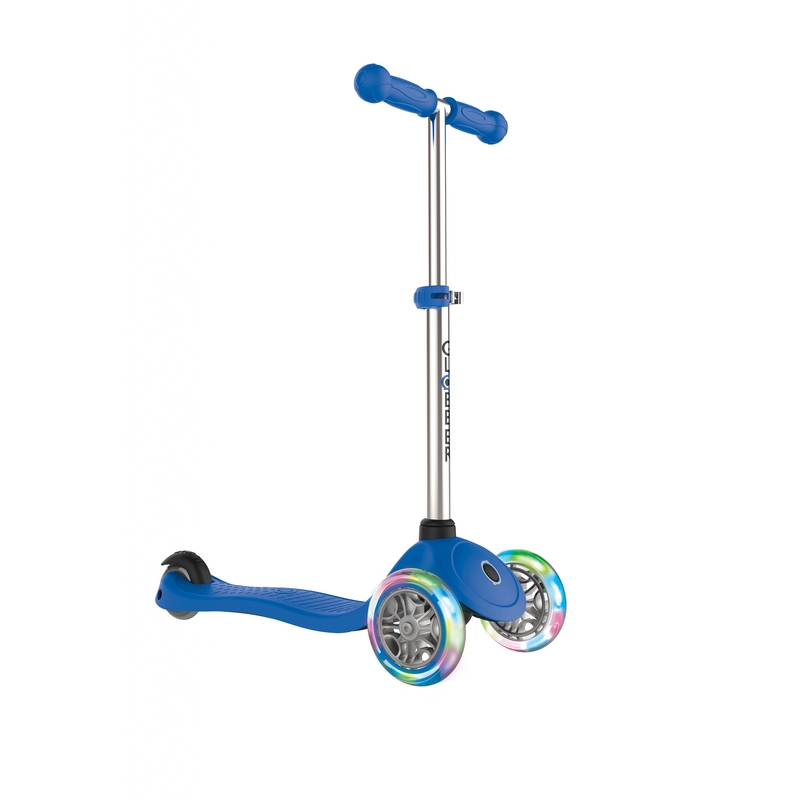 Fold up 3-wheel scooter for kids. 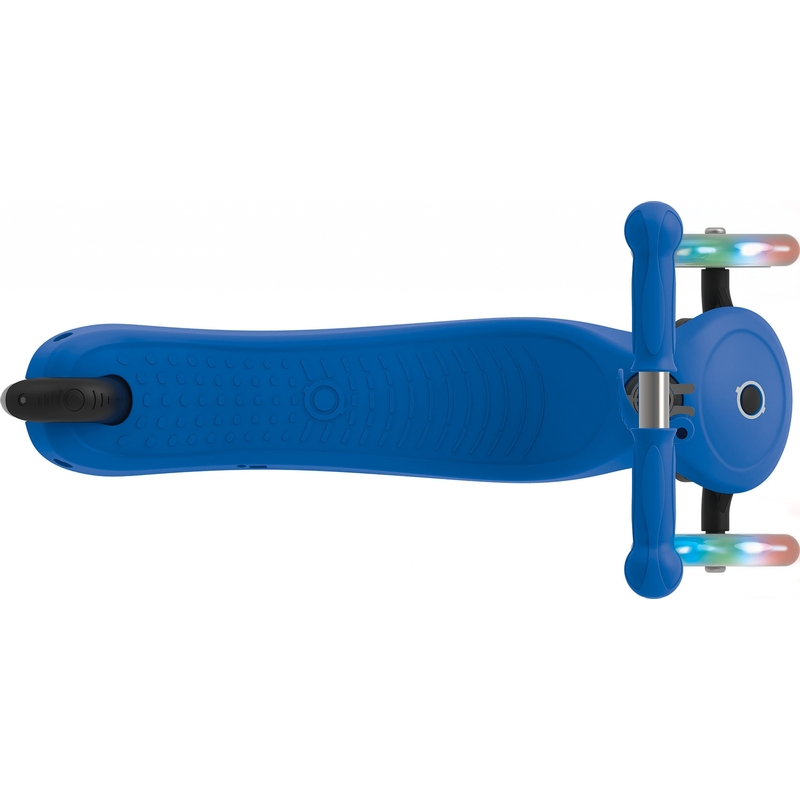 25 scooter horn sounds with headlight.